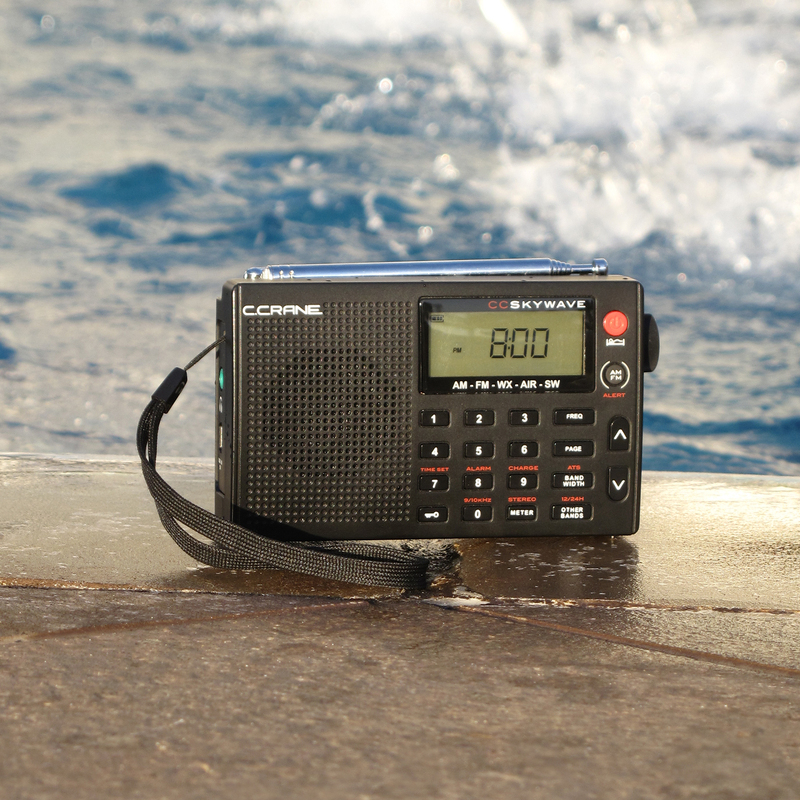 Today’s giveaway is the CC Skywave AM/FM/SW/WX Aviation Radio. Today’s blog topic: Share or explain your favorite holiday recipe. Being from SW Ohio, I introduced my wife and daughter to the delights of Cincinnati-style Chili (what my daughter calls Daddy Chili), and it’s become a standard to fix a big pot on Christmas Day for friends coming over to eat, chat, play games and enjoy good fellowship. Two pounds of ground chuck, browned and chopped down very fine. Pour into a large crockpot. COOK ON HIGH for several hours; add salt, black pepper and garlic to taste. The longer it cooks, the deeper and richer the flavor. Oh yeah a recipe, I got kind of excited and forgot : ) it’s kind of a simple thing I don’t know if I’d call it a recipe reallybut every year since I was a little kid on Christmas morning when I get up I have hot chocolate and toasted cinnamon raisin bread. Banana walnut pudding. I keep it simple: Use the Betty crocker mix for banana pudding and add walnuts. secret is to sneak in some chocolate chips too! I make chicken choupsey. Secret is to use the broth that I get the local farmer’s market and himalayan salt instead of Morton. Try it…you’ll love it. Baked salmon. I use chicken tikka masala for the rub and it elevates the taste to whole new level. Bread pudding: easiest dessert ever. Use stale slices of bread, pour vanilla pudding mix on top. repeat layers. Add some cocoa powder if you like. Bake at 365 F for 20 minutes and serve. Tastes great hot or cold! mac and cheese. I use a dash of gouda cheese to the usual recipe to add that bold flavor. This dish is liked by grown ups as well as kids. Love, love, love….pumpkin bread with a ribbon of cream cheese running through it. Hot chocolate, with some coffee mixed in, and a little shot of Irish Crème Liquor. egg nog. i’ve made my own a few times, but these days i make it by buying bud’s egg nog and adding some adult components. microwave on high 3 mins. This recipe is the absolute best I cranberry sauce I have ever had. And it’s very simple to make, too. cranberries pop (3-5 min). Remove from heat and add the Jell-O. Allow the mixture to cool. Drain the cherries and see note below. cherries in half or quarters before adding them to the mixture. My favorite Christmas recipe is ginger cookies that my wife and her girlfriends make. Yum, yum!! Favorite holiday recipe: roast goose ! A traditional Turkey dinner with steamed and buttered Brussel sprouts and creamed onions! And a nap after dinner. My favorite offering at the Thanksgiving, or Christmas meal gatherings is “candied” yams. I cut up some yams like French fries, and dribble condensed orange juice over them. Then a bit of butter. If you cook them right, they will have a wonderful syrup and be crispy here and there.